We are a large friendly woodland site that welcomes players of all level of experience from newcomers to the sport to veterans alike. Our West Midlands Airsoft Site is set in 100 acres of woodland near to Wolverhampton, Birmingham, Telford and Shrewsbury. and is well capable of accommodating over 100 players. At ACE COMBAT our main aim is to make your day with us great fun. Our dedicated friendly team endeavour to provide you with imaginative and exciting game scenarios. A club/team run site in the Yorkshire region. We play in a Woodland environment with small village/CQB training area. Mixed woodland site near Worcester, 2 min from M5 motorway. Lots of kit on site including a downed helicopter, Rapier missile system and lots of vehicles used in the games. Weekend events all year long. A member run site in Trawden, Lancashire. Located in Barnsley and Bawtry (South Yorkshire). Both sites offer open woodland and man-made gaming areas providing challenging and fun days! Our skirmish days provide a variety of experiences that range from short, sharp, action-packed games, to longer, themed scenarios where players can use tactics and field-craft to achieve set objectives. Combat Airsoft provides combat experiences to immerse you in realistic combat scenario's. The Combat experience is excellent day out for Team Building. Our woodland site, situated in Wickham, consists of 90 acres of mixed woodland and has a good mix of both natural and man made features. Our Urban site, located at Fort Widley, consists of a dry moat, tunnels, caponiers and more, making for some exciting CQB action. Freefirezone is a 75 acre wooland site North of Bourne in Lincolnshire with a great set of natural and man made features. Urban Assault is one of the largest regularly played urban sites (old RAF base) in the UK with over 20 builds with access downstairs and up. Frontier Airsoft is based in the UK near Stafford. Our 30 acres site consist of some dense woodland, trenches, pill boxes and barricades, 2 forts and several land rovers and caravans. Tactical Scenario Based Airsoft run at venues in Oxfordshire & Buckinghamshire. Our ethos is on community and gamesmanship. The site boasts a properly built bunker and trenches system, a wetland/delta system in over 75 acres of forest. We have a permanent safezone with military sleeping accomodation,admin area,test range,mess area,charging area. The site is run by ex and current military personnel and all staff are fully first aid trained and CRB certified. We are North Lincolnshires, Humberside & East Riding Of Yorkshires Newest & Biggest Airsoft site. Based in a disused 35 acre chalk quarry and woodland. A woodland site of approx 28 acres on the A632 between Matlock & Chesterfield open every other Saturday throughout the year. Based just outside of Melton Mowbray, MAW is a 55 acre military base with a mix of woodland and semi-urban game zones. Providing Airsoft-based themed 8-hour military simulations that enable you to feel the heat of battle for a day. 10 acre venue with several different game scenarios including Rourkes Drift, Alpha Base, Pyramid game and the Staargate. We also have a limited amount of hire equipment for players requiring weapons etc. We have a dedicated "safe area" for players to set up and have a cuppa between games. 15 years experience with paintball, time to move to airsoft. Located just 3 miles from Junction 6 of the M25 and just 5 mins walk from Whyteleafe South train station which has direct access from all central London stations. Run by ex. forces fully trained soldiers we offer the full 'milsim' including 432 armoured personnel carriers, land rovers and Bedford trucks as well as offering the classic skirmishing. We operate over 6 local sites; from open ground for armoured vehicles through to abandoned buildings for FIBUA. 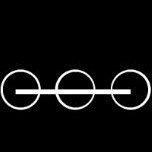 We transport airsofters between these sites in military vehicles. Skirmish Airsoft East Anglia provides an airsoft community throughout east anglia, We have venues at Norwich, Ipswich and Necton. 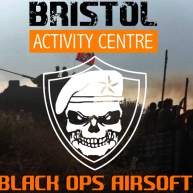 Brought to you by one of the UK’s most experienced airsoft operators, combined with one of the UK’s leading Combat games operators, combined our management team have over 40 years of experience in providing what is best in combat gaming. Southdown Airsoft Is a Woodland site set in the West Sussex countryside. We run regular Skirmishes and are available for corporate events and birthdays as well. Tactical Warfare is a woodland airsoft site located in Croydon which is less than one hour from central London and easy accessible from Kent or Surrey. TFBK is a site for the "grownup" airsorfter with the focus on serious airsoft and Mil-Sim, our aim is to gather like minded groups, teams and individuals who are serious about the sport, with the emphasis on tactics rather than a mindless skirmish. Based in a forest near Welshpool and Newtown on the English/Welsh border. Enjoy an adrenalin packed fun day out at our venue set in a 120 acre wood full of exciting and challenging scenarios near Tavistock, West Devon. We are an event organisation providing realistic military-style exercises for civilians and military personnel. Run and owned by former Royal Marine Commando Non-Commissioned Officers. Yorkshire Airsoft Club is run by airsofters for airsofters, giving everyone a fun place to play what we enjoy, Airsoft! Operated by a group of dedicated staff, we aim to provided the very best. Yorkshire Tactical Airsoft is a woodland airsoft site located in sheffield set in over 100 acres of woodland on the edge of the peak district.